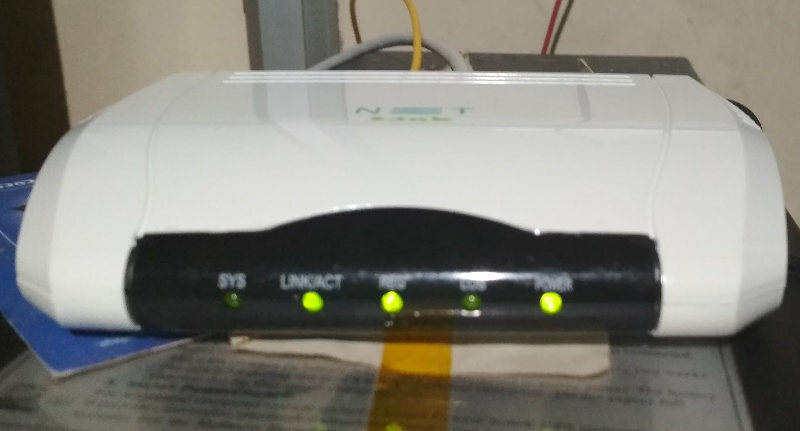 When i get FTTH connection, i just connected the ethernet cable from FTTH ONU to existing DSL router TP-LINK TD-W8968 WAN port. 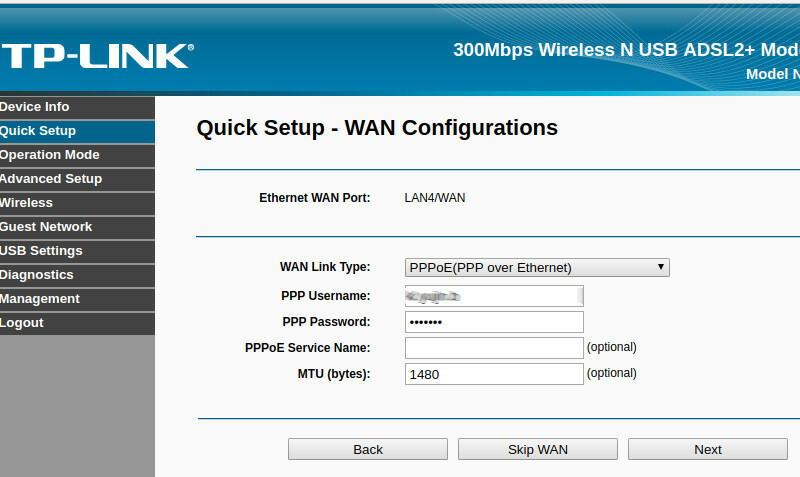 Logged in to TP-LINK router management interface at 192.168.1.1, set it to work in “Wireless Router Mode” instead of “ADSL Modem Router Mode”. Click next, on this page, you need to enter your PPPoE username and password. You can configure WiFi just like you done for DSL. At this point you will get internet on your PC if you connect to TP-LINK router with LAN cable or WiFi. First connect the ethernet cable from FTTH ONU to LAN port on your PC. This will scan all network interfaces available on your PC for PPPoE connection. Once it find a network interface with PPPoE Access, it will ask you permission to modify few files, select Yes. One next page, it ask for some DNS setting, select No (or yes, won’t make much diff, i tested both, if required you can always edit /etc/resolv.conf manually, no big deal). 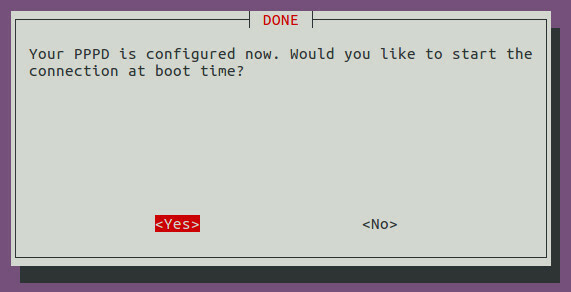 DONE – select Yes, this will start net connection by itself. CONNECTION INITIATED – Select OK, you are done, now you are connected to internet. 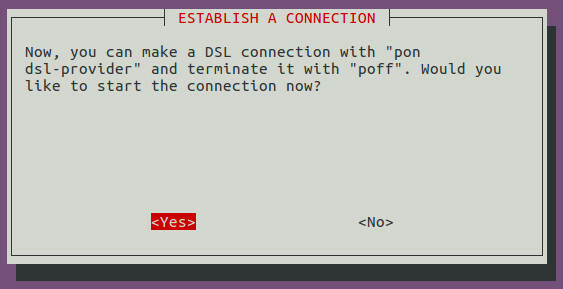 You can use poff command to disconnect from the internet. PING yahoo.com (98.139.180.149) 56(84) bytes of data. Following files are modified by pppoeconf. Here enx000000003eb7 is name of my network card, that connect to FTTH ONU. This is an auto created file. 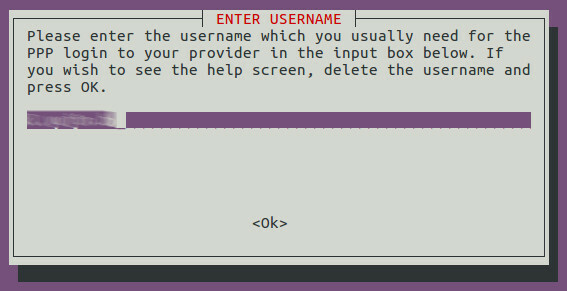 You can delete it if you don’t want to use pppoeconf, it will auto generated when you run pppoeconf. This file contains username and password. By end of this file, pppoeconf added my username and password in the format. I was happy with FTTH ONU connected to TP-LINK router so i can use WiFi. But for some reason i was not able to access the Admin Area of the FTTH ONU. I did a scan for IPs available on range 100.65.238.133 using netstat, but it was all other railwire customers, i was able to see some of the modem, even able to login to some of them as they use default username and password for their modems. But for some reason, i can’t access my modem on the IP. I tried adding a route to 192.168.101.8 using “route add” command, no luck accessing the ONU Admin area so far. For now i reverted the changes, went back to old way of connecting using TP-Link router. Need to find a solution to access the admin area of ONU Device.